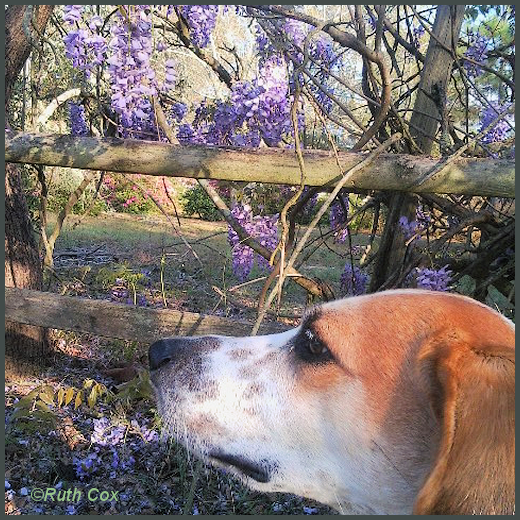 While my dog followed the scent of kitty cats, I was led by the fragrance of flowers growing wild in the neighborhood. 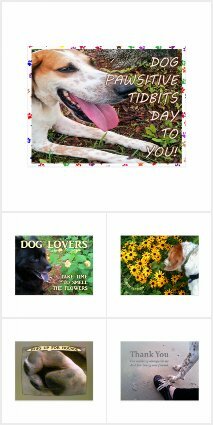 What a fabulous Spring walk in the Florida sunshine! 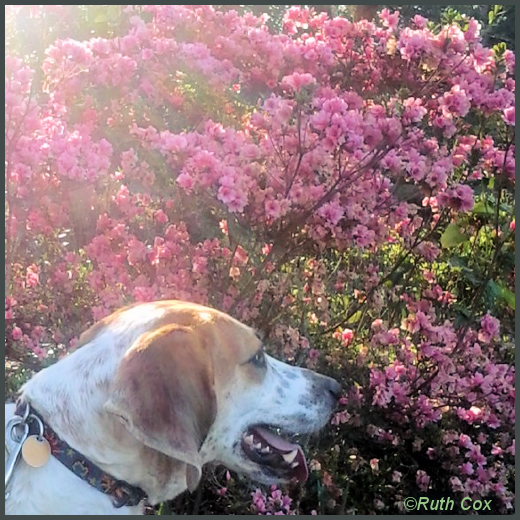 My dog Valentino amid a pink floral shower of sunshine. Valentino awaits a dog treat while I enjoy the fragrant wild white roses. Valentino was not thrilled with all the bees buzzing in these wildly growing lilacs. Pink, white, and purple scented beauties were bountiful and made for a perfect display as a floral coat rack. 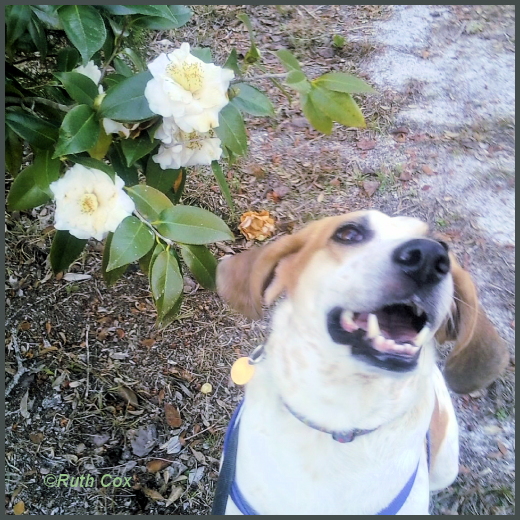 We are linking the sweetness of this scent walk up with our pets and animal lovers over at BlogPaws for Wordless Wednesday.